7 Home Remedies for Bee Stings That Work Like a Charm! Hi. Do you have any good home remedies for treating bee stings. With all the bees and wasps around this time of year I would like to have some remedies on hand and at the ready just in case one of the kids (or the dog) get stung. Yes, bee stings are definitely very common during the warmer months, particularity when the flowers are in full bloom. Bees never sting intentionally of course, it's simply a defence mechanism for them. Unfortunately, the sting contains toxic venom that can cause anything from mild discomfort to severe allergic reactions (anaphylaxis). If you are allergic to bee stings and experience chest/throat tightness, cramps, abdominal pain, vomiting, increased heart rate, or weakness, it's imperative that you seek emergency medical help straight away. Most people, however, usually only experience mild/moderate symptoms such as pain, burning, swelling and redness at the sting site. 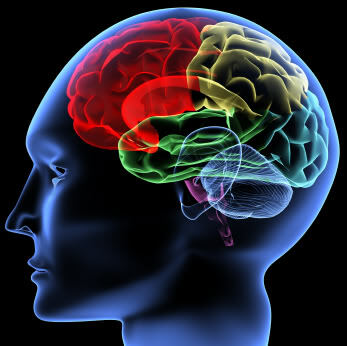 Most mild symptoms will go away within a few days while moderate symptoms usually take between 7 and 10 days. How to Treat a Bee Sting Remedy #1... Safely Remove the Stinger: This is a "must do" if the stinger is still present in your skin. Leaving the stinger in, or leaving it in for a prolonged period, allows the venom to be continually pumped into your body - so you definitely want to remove this as quickly as possible. The safest way is to scrape it out using something sharp like a razor blade. If you don't have one handy then either a long fingernail or business card or credit card will work. Whatever you do though, do not use your fingers or tweezers. Squeezing the sack at the top of the stinger will pump more venom into your body - something you definitely don't want. After you remove the stinger, gently wash the site with some soap and water to sanitize. NOTE: When consuming orally, only drink the raw unfiltered ACV that still contains the "mother" apple (like this one). Do not drink white vinegar or any type of processed vinegar's as these will not work or help at all. Soda: Baking soda works in similar fashion to apple cider vinegar. Being alkaline, it also helps to neutralize the toxic acidic venom from a bee sting. Simply mix a small amount of baking soda with some water, enough to make a paste, then apply to the welt/sting area. Leave on for 10-15 minutes before washing off with some lukewarm water. For even better results, apply the apple cider vinegar first as per our recommendation above then apply the baking soda straight after. These two remedies used in combination with each other work fantastically well. How to Treat a Bee Sting Remedy #4... Honey: Funnily enough, what a bee (honey bee) produces can also help you when you get stung. Honey (raw natural honey) helps to disperse the venom quickly and is antibacterial in nature, so it helps prevent any infection. Because honey is also cool and soothing, it literally "takes the sting out" so the burning and itching is reduced considerably. All you do is smear a liberal amount of raw honey on and around the sting site. Leave on for 10-15 minutes then rinse off with lukewarm water. And don't forget to add a teaspoon of honey to your ACV drink for added benefit as well! Home Remedy for Bee Stings #5... Tobacco: Yes, this ones a bit "out there," but amazingly, it really does work. Tobacco neutralizes the acidic nature of stings, especially bee stings and wasp stings - and it does it fast! All you do is take some tobacco and moisten with a small amount of water then place on the sting site - secure with a bandage (wrap lightly) or band-aid. Give it half an hour and I guarantee you'll forget that you even had a bee sting or wasp sting! NOTE: Some people in high prone bee or wasp areas actually keep a few cigarettes or small amount of tobacco handy (even if they're not smokers) just in case someone close to them gets stung. This may not be a bad idea? 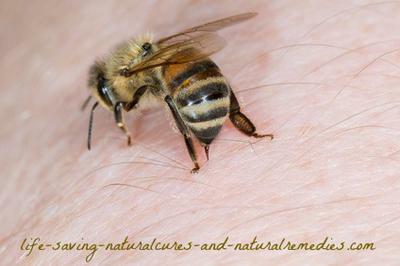 Natural Treatment for Bee Stings #6... Activated Charcoal (AC): Activated charcoal is another handy remedy for bee and wasp stings. 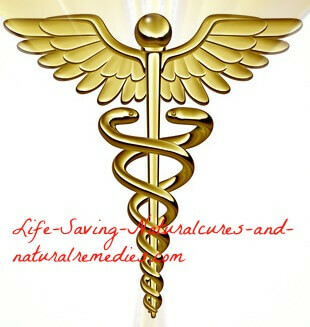 The properties contained in AC help draw out the venom, along with reducing the symptoms quite quickly. Take a liberal amount of activated charcoal powder and mix it with a small amount of water, enough to make a paste. Apply this to the affected area then secure with a gauze and bandage (lightly dressed). Leave on for an hour or so then re-apply. You can also take activated charcoal orally for extra benefit, particularly if you find yourself having a severe allergic reaction to the sting. It works like magic! Buy some of the activated charcoal powder or capsules and keep them in your pantry for safe keeping. If or when the day comes that you need them for a bee or wasp sting, you'll definitely be glad that you had them. How to Treat a Bee Sting Remedy #7... Ice Pack: The ice remedy is one of the standard treatments if you have any type of swelling and inflammation. The coolness of the ice helps to draw blood to the welt area and accelerate the healing process. The cold temperature also helps to numb the pain, reduce the itching, and of course, reduce the swelling. The CDC even recommends the ice treatment as a standard protocol for bee or wasp stings. Apply an ice pack or bag of frozen vegetables (or anything frozen for that matter) to the sting site for 10-15 minutes at a time. Repeat as often as required. NOTE: Applying ice or anything frozen directly to the skin can cause frostbite, so be sure to always cover the frozen item with a wash cloth or towel first. So hopefully these tips and remedies help you out Stacey. At least make sure you have two or three handy in your home, or even in the car, just in case. Comments for 7 Home Remedies for Bee Stings That Work Like a Charm! My boy got stung by a bee 3 days ago. I immediately went to Dr Google and found this page. After removing the sting I used the apple cider vinegar followed by the honey. This was great for taking the pain away (he's a bit of a sook) and reducing the swelling. All in all, he's doing very well. So appreciate finding handy tips like these. Keep up the great work Troy!